The new Still Photography and Motion Tracking Studio at The New School's Making Center. On the ground floor of the Making Center, right around the corner from the ceramics wet lab and printmaking facilities, is a large room that for years housed the chiller for the Sheila Johnson Design Center. But faculty members and students from the School of Art, Media, and Technology at The New School’s Parsons School of Design saw greater potential for the room. Over the last three years, it was transformed into an industrial-level Still Photography and Motion Tracking Studio that offers a host of new creative possibilities for technologists, animators, filmmakers, photographers, video game designers, and storytellers alike (the chiller was relocated to the roof). Equipped with an OptiTrack mo-cap system and a retractable 20-inch wide seamless background holder, the studio allows for a range of digital production including virtual, augmented, and mixed reality, video game design, digital animation, dynamic projection mapping, data visualization, live performance, and photography. 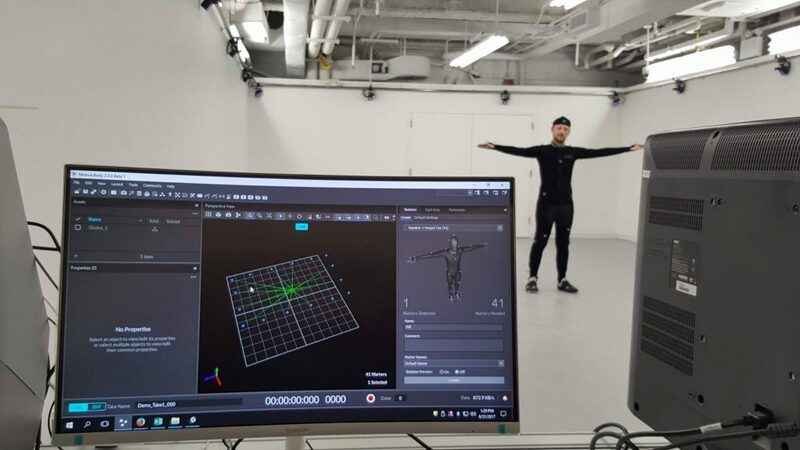 “You can track everything from Bruce Lees’s quick moves, to the gestures of dancers, to the sub-millimeter accurate movements of individuals which can then be used for medical grade research,” says Kyle Li, Assistant Professor of Communication Design and Technology. Li noted that the studio could even be used by students in Open Style Labs as they design clothing for people of all physical abilities.